A new Quinnipiac poll was unveiled on Wednesday revealing that Ted Cruz’s lead over Democratic challenger Beto O’Rourke is at just three points. The poll for this Texas Senate race shows Cruz at 47 percent, with O’Rourke at an impressive 44 percent. 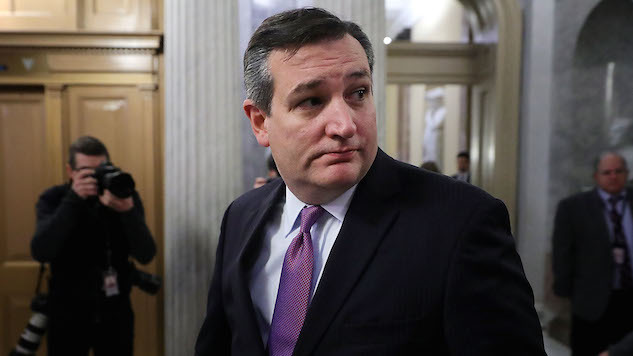 Cruz’s seat was largely perceived as safe going into the race, especially given the Republican party’s historic grip over the state. Quinnipiac Poll Shocker: TX SENATE. Sen. Ted Cruz® 47%, Beto O’Rourke (D) 44%. However, O'Rourke has been trying to employ a new strategy that avoids what most Texas Democrats have done in the past, campaigning in every nook and cranny of the entire state, even districts and towns with small populations and ones that were traditionally safe zones for every and any Republican candidate. While this poll signals a potentially closer race in Texas than expected, it also shows another potentially vulnerable Republican seat in the Senate that Democrats have a chance to capitalize on. Larry Sabato, Director of the UVA Center for Politics, tweeted that there are now five GOP Senate seats that could flip to blue. Texas contest still Leans R, but this means there are potentially 5 GOP Senate seats in play: AZ, MS(special), NV, TN, TX. O’Rourke’s campaign could serve as an initial indication of whether a more populist Democratic message is effective in traditionally conservative constituencies. One of the primary critiques of Hillary Clinton’s failed presidential campaign was that she was unwilling to go into blue-collar cities and connect with average people. If O’Rourke succeeds with a Bernie Sanders-esque message (several Sanders voters ended up voting for Trump after Sanders lost the primary), this could prove to be a winning strategy for Dems in 2018 and beyond.